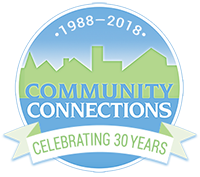 Community Connections is a 5013c non-profit that depends, in part, on the generous financial gifts of our sponsors and donors. Call 308.696.3355 to learn more about sponsoring our organization or one of its programs. West Central District Health Dept.